Do you write down or electronically record any of your passwords? This is the equivalent of leaving your password for anyone to use. Hackers will do anything they can do to get your information. Don’t make it easy for them! Sometimes we don’t realize the importance of creating and safe-guarding passwords. 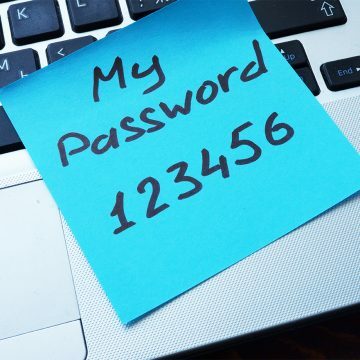 Never write down passwords and leave them in open areas for others to see; and be particularly careful when entering passwords while strangers are nearby. A couple of things that you can do to ensure password safety stars with having a strong password that contains a good combination of letters, numbers, and special characters. Do not include personal information such as your address or date of birth. If you share a computer with others or have a computer that you use in the workplace, it is good practice to change your passwords about every 90 days. Keeping your passwords safe can save you from a lot of unnecessary trouble, so keep them safe!